Greetings, dear readers! I hope this post finds you well and you've been having a wonderful week so far! I'm running a little behind today so I'm just going to jump on in to today's post. Let's do this! I had the pleasure of testing out the oxygen eye masks from VIIcode. I'm sure you've seen many varieties of masks on the market, but what sets VIIcode apart from the rest is that it is an 8-hour overnight treatment. Rather than trying to incorporate a mask into your daily routine when you want to sleep in as late as possible, this mask works its magic while you are sleeping! Filled with essential vitamins, antioxidants, proteins, botanicals, peptides and essential fatty acids, VIIcode oxygen eye mask provides everything the delicate skin around your eyes needs to be healthy. 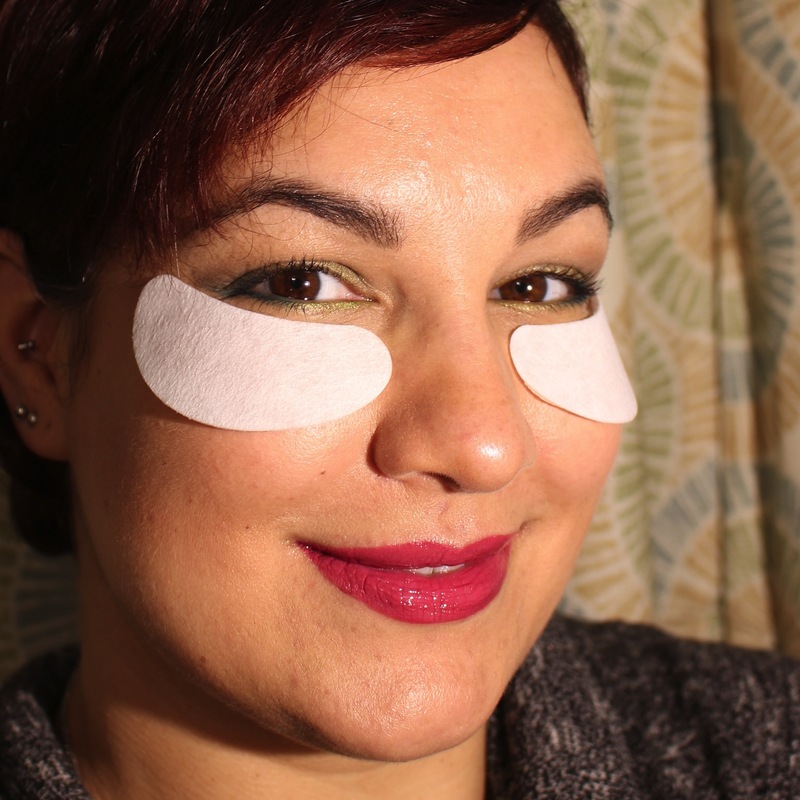 This eye mask sets out to rid you of tired eyes, dark circles, and fine line, leaving you looking refreshed, bright-eyed and lively. As a 30-something mom with two young children at home, I know I certainly can use some help with dark under eye circles and the dreaded bags! The first thing I noticed about the VIIcode Oxygen eye mask was the nice packaging. The box contains six foil packets containing a pair of under eye masks. Each foil packet contains a thin plastic tray that hold the masks in place until use. This is what the mask looks like. There is a thin membrane covering the gel-like portion of the mask that adheres to your skin. This gel-like material is slightly sticky, helping it stick to the skin, and it is packed with ingredients to improve the health of your skin. Some of these key ingredients include allantoin to soften and protect the skin in addition to promoting cell regeneration and white tea extract, a potent antioxidant with anti-inflammatory properties. The eye mask is meant to by applied two to three times a week with three boxes completing a full course of treatment. 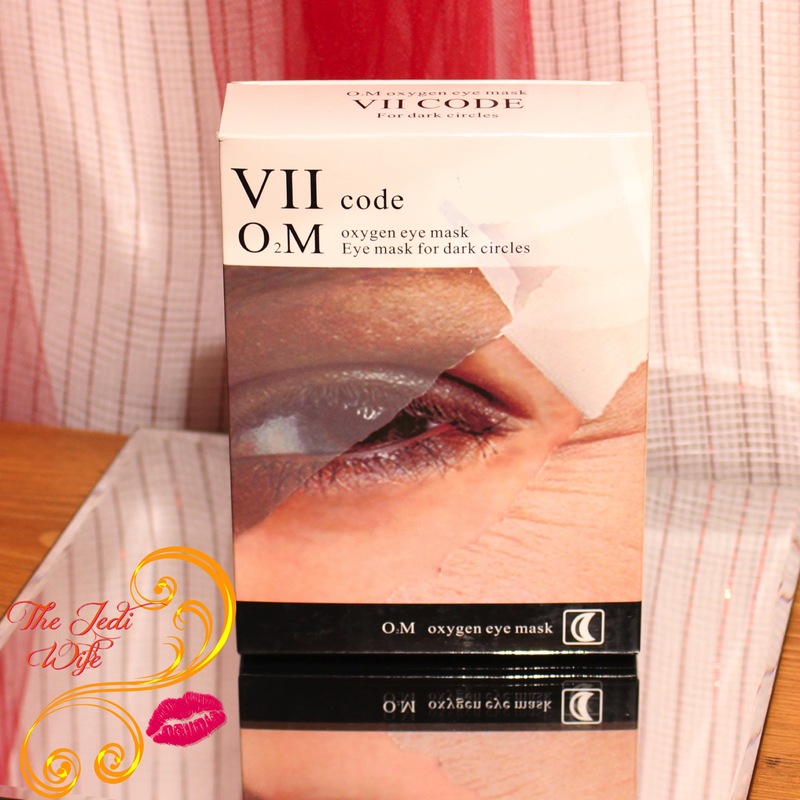 The VIIcode oxygen eye mask applies easily under the eyes. Upon application, I first noticed the cooling sensation under my eyes. These masks are slightly damp but certainly not wet, and I had no issues with excess treatment flowing away from the eye area. These masks are rather large, and while it covers your under eye area completely, they did stick out slightly at my cheekbones. I've not completed a full course of treatment due to the timing constraints of this post, but I have tested a few of these masks. Even though they are designed to be an overnight treatment, I did find these are a little difficult for me to sleep in. You may not notice them if you normally wear a mask over your eyes, but since I do not, they are a little awkward. Also to note, while they seem to stay firmly in place upon application, if you are an active sleeper like I am, they shift around a lot. I sleep on my back, sides, and my stomach, and I woke in the middle of the night on my stomach with one of these masks fully coving my eyelid and the other missing. I love the idea of these masks, but unfortunately, they are not something I think I can use successfully as an overnight treatment. Thankfully I work from home so I can wear them during the day and let my mailman enjoy my latest accessory when I open the door. I think I'm better off sticking with their eye cream for at night. 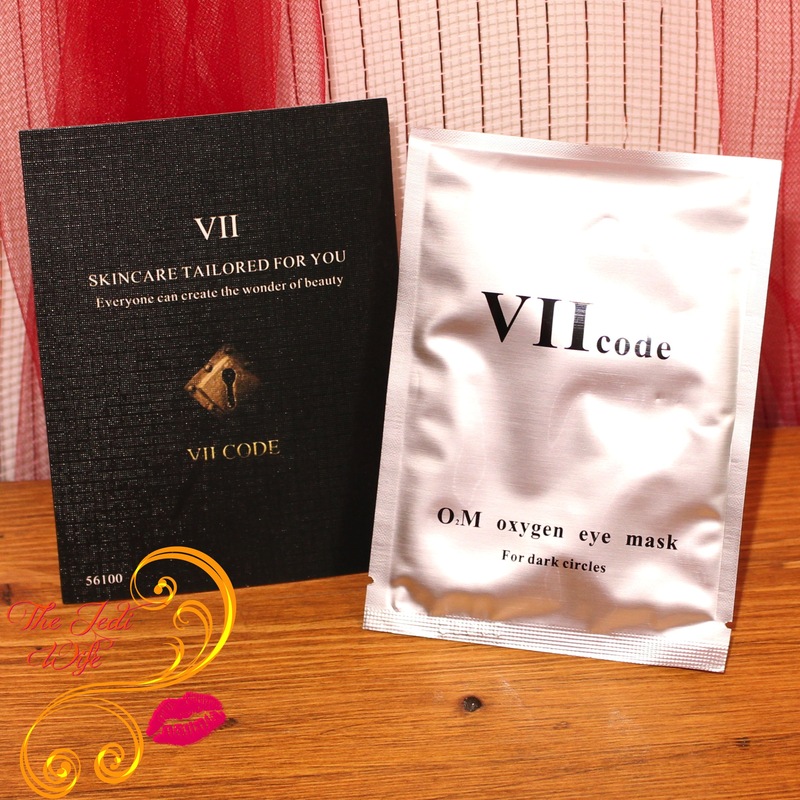 VIIcode Oxygen Eye Masks and other VIIcode products can be purchased from the VIIcode website or their storefront on Amazon.com. As I mentioned previously, there are six sets of masks in each box, and you will need three boxes to complete the full course of treatment. VIIcode sets out to let everyone be their most beautiful in their own way, and that's a philosophy I can stand behind! 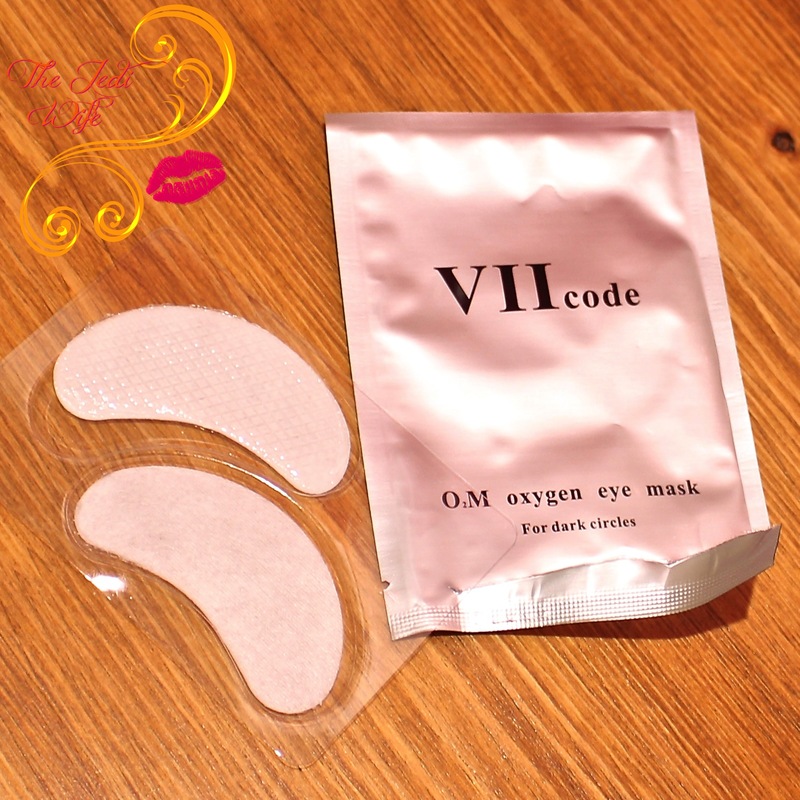 Have you tried the VIIcode oxygen eye masks? If so, I'd love to know if you've completed a full course of treatment and how it worked for you! Interesting product! I might need to try some of these eye patches. Yeah, there's no way this would stay on all night for me! Having to sleep in these would drive me bonkers. But I do like the idea of a mask to help dark circles. I've just come to terms with the fact that I look like a raccoon 24/7. I've never tried anything like this before. I wound't want to wear these overnight, but during the day at home it would be fine. I love eye masks like these, they work so well for my tired eyes! It's a cool idea but like you said, better for all day. I could never wear these while I slept. I've heard a lot about these, but never realized that you wear them overnight. Sounds lovely! I've tried these in the past & I used them during the day. I could not wear them all night, they drove me insane, haha. I want to try these! I've liked the short-term eye patches like these, an overnight treatment sounds awesome!